BRENDA LOUISE HUDSON, soprano, has performed nationally and internationally to great success and acclaim. 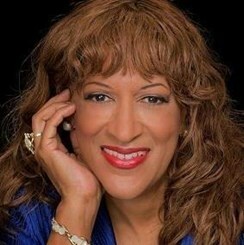 Ms. Hudson has performed extensively in the New York area, Copenhagen, Spain, Canada, London, and Austria, she has been a repeatedly invited guest artist, of the government of Jamaica, where she sang at Kings House, the Governor General’s residence. A versatile singer, Brenda Louise has performed everything from lieder to spirituals, broadway show tunes at fundraisers to opera arias at renowned Steinway Hall in New York City. Her accomplishments include performances of Handel’s Messiah, Brahms’s German Requiem and Gershwin’s Porgy and Bess. Ms. Hudson’s favorite roles performed include Lola in Mascagni’s Cavalleria Rusticana, Sister Marie-Anne Brideau in Poulenc’s Dialogues of the Carmelites and Cio Cio San’s mother in Puccini’s Madama Butterfly. Before leaving Florida she performed in Gulf Coast Opera’s performances as Cio Cio San’s mother in their 2016/2017 production of Puccini’s Madama Butterfly. A talented and socially-conscious artist, Brenda Louise has created and performed in a wide number of themed recitals, among them Cultural Diversity in Classical Music; Poems of Passion and Promise; and Saluting Legendary African-American Divas. In 1998, her contribution in an Austrian Gospel Matinee helped raise over $25,000 for famine victims in Sudan. Along with such illustrious artists as Frederica von Stade, she contributed a performance of Deep River to the CD, A Memorial Tribute to the Fallen Heroes of September 11, 2001. Request Lessons with Brenda Louise Hudson today!